Elon Musk is still trying to pinpoint the source of a huge chain of explosions that destroyed SpaceX’s Falcon 9 rocket last week at Cape Canaveral. The SpaceX CEO said he was focused on understanding a “quieter bang sound a few seconds before the fireball goes off.” He said the sound may have come from the rocket or another unidentified source. The disaster struck on September 1 when a succession of blasts engulfed the rocket in flames over a period of more than four minutes. 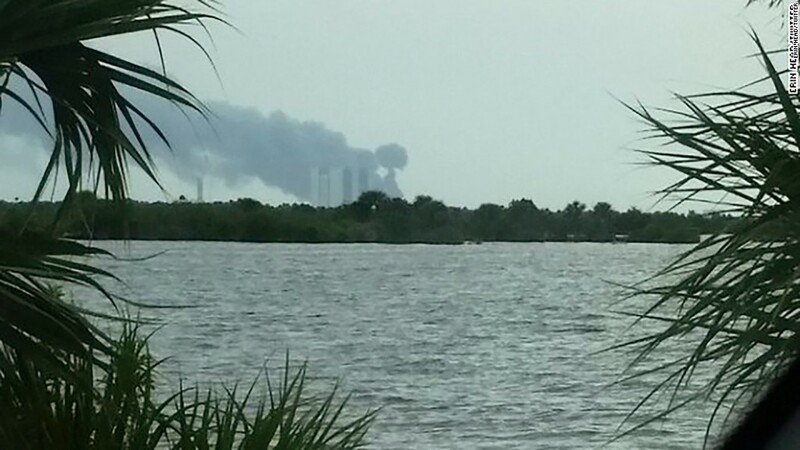 The explosions happened at Launch Complex 40, an Air Force facility that has been leased to SpaceX. Before the stunning setback last week, the private space exploration firm had launched 25 rockets from the site since 2010. NASA’s facilities at Cape Canaveral were not damaged by the blasts, and no planned NASA flights were affected. In a series of tweets, Musk asked anyone who might have a recording of the explosion to email SpaceX. He also thanked NASA, the Federal Aviation Administration and U.S. Air Force for their help during the investigation. In a reply to a Twitter user’s question, Musk said he had not ruled out the possibility that something hit the rocket and caused the fireball. The destroyed rocket was meant to have taken a satellite into orbit that Facebook (FB, Tech30) planned to use to bring internet access to Africa, the Middle East and Europe. SpaceX is trying to change the economics of space flight by developing rockets that land upright after launch and can then be reused. It has yet to carry any people into space, though it has won a contract from NASA to carry American astronauts to the space station in the future. Musk, who also is CEO of electric car maker Tesla (TSLA), hopes the company will be able to take people to Mars as soon as 2025. — Chris Isidore contributed reporting.